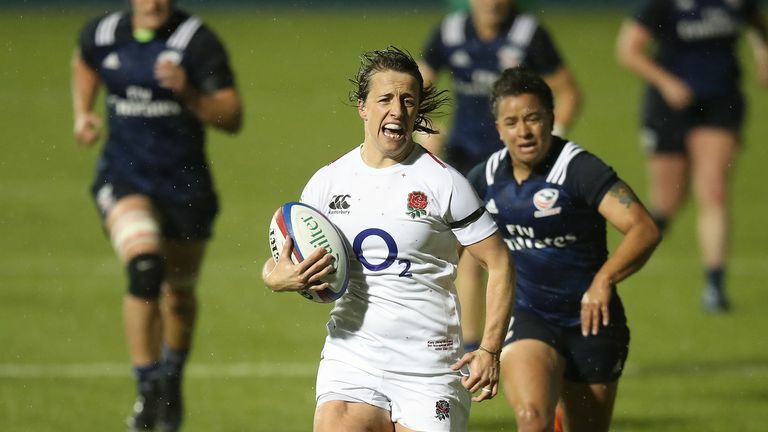 England ran in nine tries to record their highest victory against the USA with a 57-5 win at Allianz Park on Friday night. The weather conditions made handling difficult and a red and yellow card did not help the USA's cause either as they had no answer to the power of England. 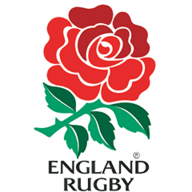 A double for Kelly Smith plus tries from Leanne Riley, Sarah McKenna, Abbie Scott, Katy Daley-Mclean, Sarah Hunter, Carys Williams and a penalty try saw England home, while centurion Daley-Mclean added six conversions. England's scrum was dominant from the start and it was from the set-piece they scored their first try. A pick-up from the back of the scrum from No 8 Sarah Beckett created space for scrum-half Riley, who went over to score. Things got worse for the USA after loosehead prop Megan Rom received a red card after she was adjudged to lead with the elbow into the neck of Beckett. McKenna scored England's second after she ran a lovely line to cut through the USA defence after more good work from her forwards. She looked to have been held up over the line but showed good strength to twist her way over. The forwards were once again in action for their third and were driving for the line before they were illegally stopped and the referee awarded the penalty try. 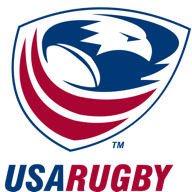 Daley-Mclean converted her third conversion as the USA were reduced to 13 with skipper Kate Zackary shown a yellow card. Daley-Mclean set up Scott for England's fourth with a lovely sidestep before scoring one of her own as she picked up a loose pass from 50m out and had enough pace to run all the way to score. Her conversion on half-time gave England a 33-0 lead and left the USA facing a tough second half. Replacement No 8 Sarah Hunter was denied twice in the opening minutes of the second half but England got their sixth in the 43rd minute when winger Kelly Smith, who is the top try scorer in the Tyrrells Premier 15s, came off her wing and bisected the USA midfield to score her first international try. Hunter got over for England's seventh after a solid scrum from 5 metres out, before Janine Duncan got a late consolation try for USA. However, England had the last word as Smith went over for her second as well as a last-minute score by Carys Williams to give England a comfortable win.